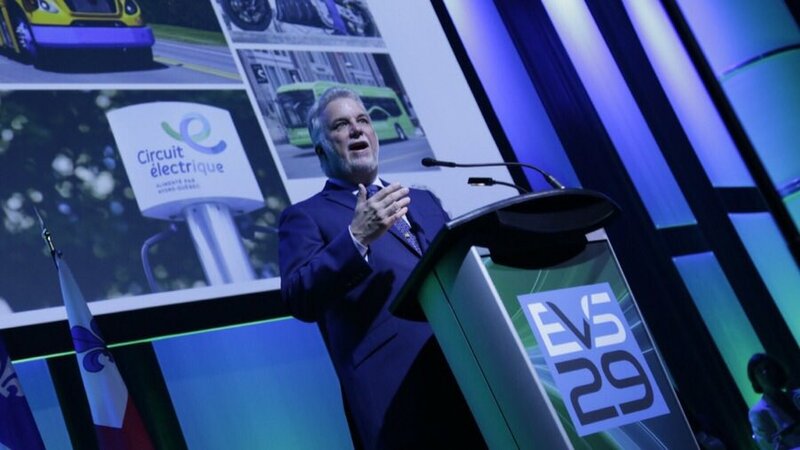 In the morning of June 20, 2016, during an inspiring speech part of the Opening Plenary at EVS29, Philippe Couillard, the Prime Minister of Quebec, called for the creation of an authentic industrial cluster for EVs in Quebec and asserted his wish to make Montreal a hub for the design and the manufacturing of EVs. 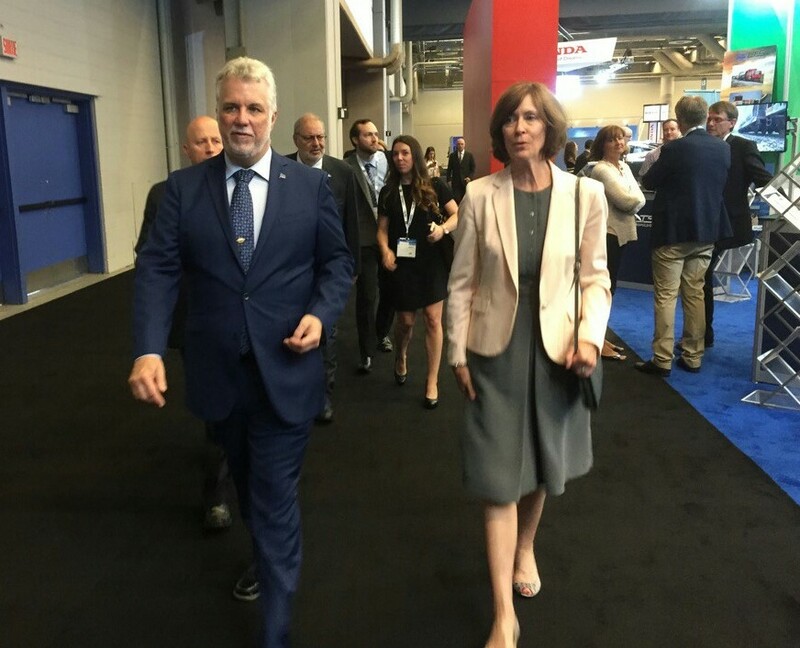 Later, the Prime Minister visited during two hours EVS29 Trade Show with Chantal Guimont, Electric Mobility Canada’s CEO. 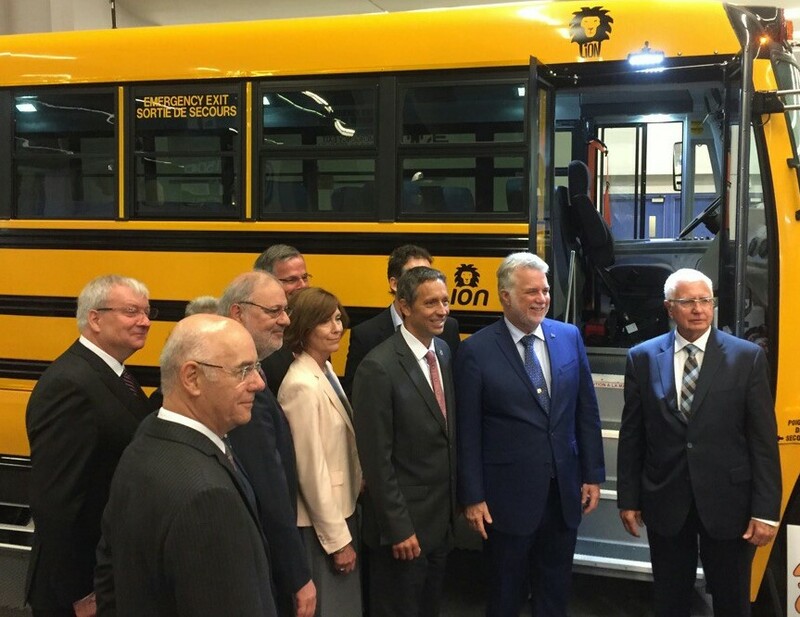 Mrs. Guimont guided the Prime Minister through the show and presented him the booths of some of the key stakeholders of EVs in Quebec. 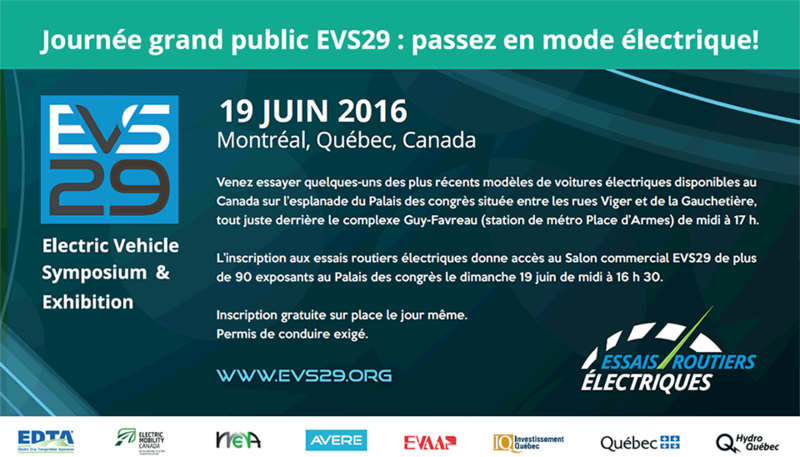 EVS29 continues until June 22, 2016 at the Palais des congrès in Montreal, QC.